The mighty monster machines are back in an all-new DVD collection, Blaze and the Monster Machines: Wild Wheels Escape to Animal Island. 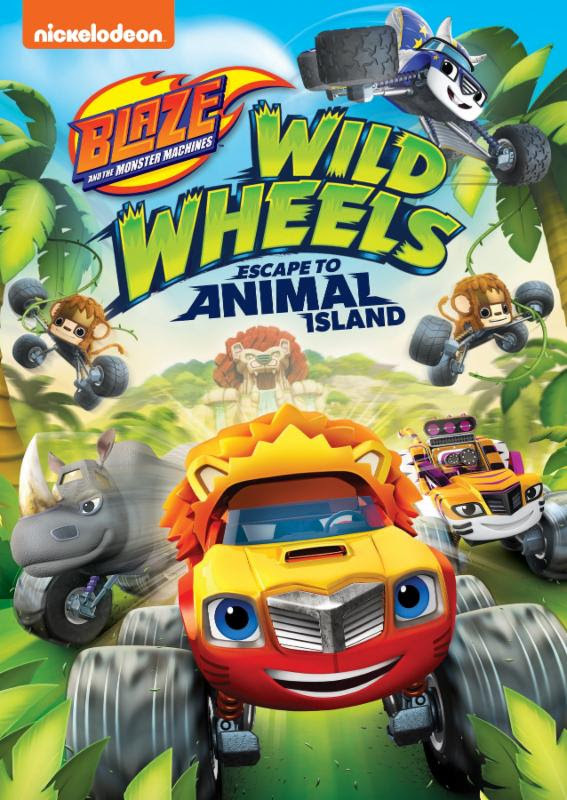 In this high-octane DVD, available September 19, Blaze and his friends find themselves on Animal Island, transforming into high-speed animal trucks in order to save the day. Fans can join the gang as they thwart Lazard the lizard-truck's evil plan, help their new friend Tooks the toucan-truck, travel to Insect City and cheer on Blaze in the Super Sky Race. As always, Blaze, AJ and the monster machines go on wild rides and use their S.T.E.M skills to solve the problems around them. Created by Nickelodeon and distributed by Paramount Home Media Distribution, Blaze and the Monster Machines: Wild Wheels Escape to Animal Island races onto DVD on September 19, for the suggested retail price of $14.99. Animal Island - Blaze and Stripes are sailing the open seas when they discover Animal Island, an incredible place where everyone's a monster truck animal. Once ashore, they meet Lazard, a scheming lizard-truck who tries to steal the powers of the other animal trucks. Toucan Do It! - Blaze, Starla and Darington are visiting Animal Stadium, where they're set to play a game of Jungle Ball. There, they meet Tooks, a friendly tiny toucan-truck with big athletic talent who Blaze recruits for his team. The Big Ant-venture - Blaze and Zeg go on a mini-but-mighty adventure to Insect City to help a firefly family find their runaway egg. Falcon Quest - Blaze must transform into a falcon and learn some new sky-high skills in order to compete in the Super Sky Race on Animal Island. 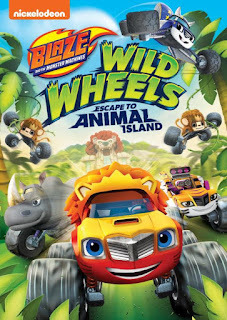 Win: One lucky winner will receive Blaze and the Monster Machines: Wild Wheels Escape to Animal Island on the DVD! The deadline for entries is September 18, 2017 11:59pm HST. If you submitted an eligible entry and it is chosen by random.org as the winner, you will be notified via email on or about September 19, 2017 (make sure your email address is in your profile or comment and be sure to check your junk/spam, etc. folders) and will have 3 days to respond. I would love to win this for my nephews. My son's birthday is coming up. I'd love to win this for him. I'd love to win because my grandsons love to watch Blaze and would enjoy these episodes. I'd like to win for my cousin! I'd love to win this for my kids. I would like to win this for my 3 year old son, he loves Blaze so much, we even made him a blaze cos tune for Halloween last year. Its his favorite, love all the things he learns from the show. I would like to win because this DVD looks very interesting!